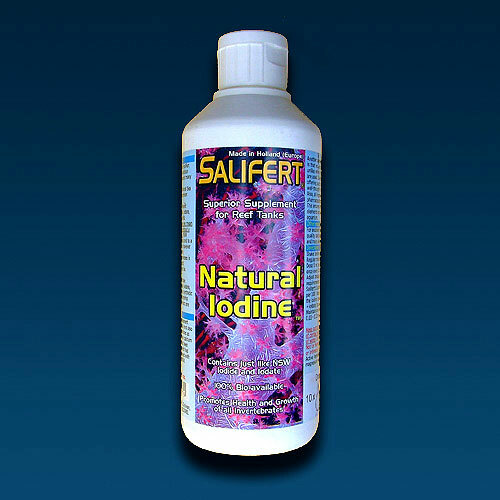 Salifert Natural Iodine supplement contains a large portion iodate and also some iodide in similar proportions as NSW. Adjust dosage according to individual requirements (use an iodine test, e.g., Salifert Iodine Profi-Test). Every 5 ml per 100 liters (25 gallons) will increase the iodine concentration (that is iodide +iodate) by approx. 0.04 mg/L.